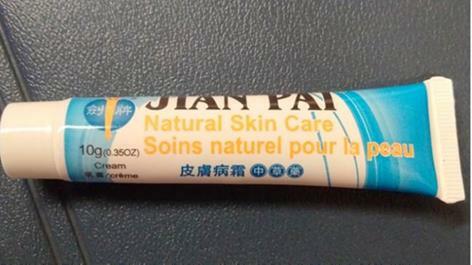 Health Canada testing of “Jian Pai Natural Skin Care Cream,”found that it contains two antifungal drugs that are not listed on the product label, and may pose serious health risks. Do not use this product. Consult with your healthcare professional if you have used it and have health concerns. Consumers who have bought or used this product, particularly pregnant or breastfeeding women and people taking blood-thinning medication. Fluconazole is available by prescription and over the counter for the treatment of various fungal infections. It is taken only orally (by mouth) or by intravenous injection, and is not approved for use on the skin. Side effects associated with the use of intravenous and oral fluconazole include heart rhythm problems, kidney disease, liver disease, and severe skin reactions. Fluconazole should not be used by pregnant or breastfeeding women. As well, when not used as directed, fluconazole could increase the risk of fungal-resistant infections. Miconazole is a non-prescription drug used for the treatment of various fungal infections. Side effects associated with topical use (applied on the skin) include itching, irritation, and burning at the application site. Side effects associated with products for vaginal use include burning, itching, irritation, pelvic cramping and swelling, as well as hives, rash and headache. Unless directed by a healthcare professional, miconazole should not be used by pregnant or breastfeeding women. 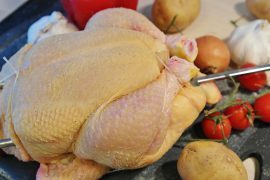 It also should not be taken with blood-thinning medications (such as warfarin) unless on the advice of a heath professional, as bruising and bleeding may occur. Jian Pai Natural Skin Care Cream is not authorized to contain fluconazole or miconazole; Health Canada has therefore suspended its license. 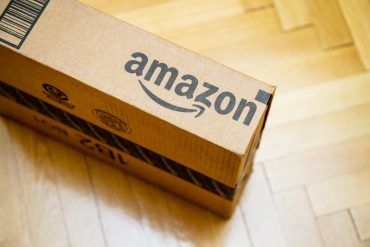 This means the product can no longer be sold legally. Health Canada has also requested that the importer, Canada Orient International Trade Inc., stop selling and recall the product. Should additional safety information become available, Health Canada will take appropriate action and inform Canadians as necessary. If consumers find this product on store shelves, they are asked to contact Health Canada to file a complaint, using the contact information provided above.